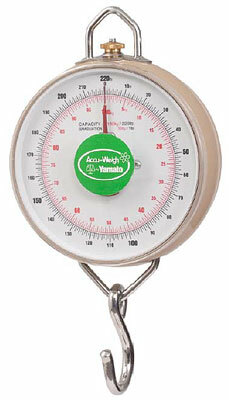 The Accu-WeighÃ‚Â® Hanging Dial Scale are used in a variety applications. 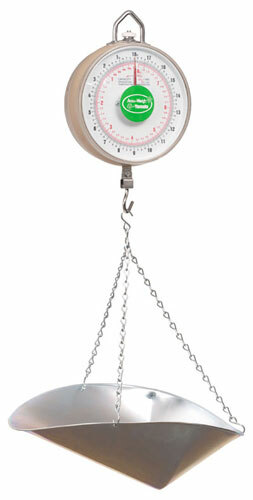 They can be used for general weighing or to measure tension, pull or torque. 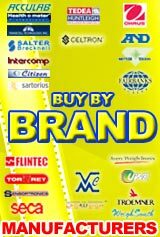 All models are equipped with fine tooth racks, machine cut precision pinions and dual springs to provide the greatest possible accuracy. 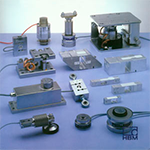 Made of steel with nickel or zinc plating on all of the internal mechanisms for maximum protection against corrosion. 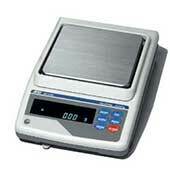 No special tools are required to access the weighing mechanism, making service and calibration easy to perform. The chart and fine point indicator are protected by a clear, shatterproof plastic cover. There are no weights to handle or slide. 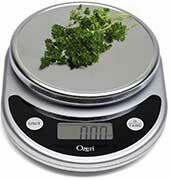 Direct weight readings translate into fast, error free weighing. The special design of the indicator virtually eliminates parallax viewing errors and the distinct black on white graduations ensure quick weight determination. The HDS-18PK features a dual sided dial.